You have a choice: You can either chase it off or get a liscence to kill it. That’s a choice given to a person we talk about on the show today. Also, we revisit some “As seen on TV” products and the people who sell them. 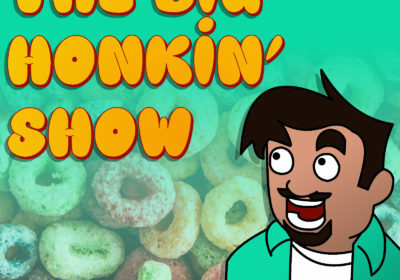 A Real Life Super Hero that makes us miss the naked old guy, some political talk to bring us all down, and the usual Buck and Steve antics abound on this episode of The Big Honkin Show.